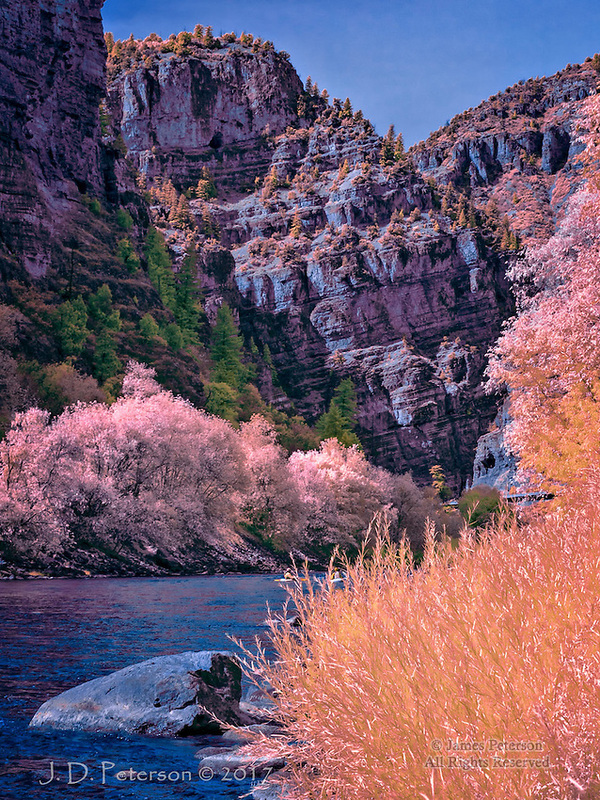 Glenwood Canyon, Colorado (Infrared) ©2017 James D Peterson. The Colorado River has cut this remarkable passage through the Rockies in the western part of the state. It serves as the route for a transcontinental railroad, kayakers (look carefully), and Interstate 70 (a small stretch of which can be seen in the distance).